Valentine’s Day – a day to celebrate love and each other! 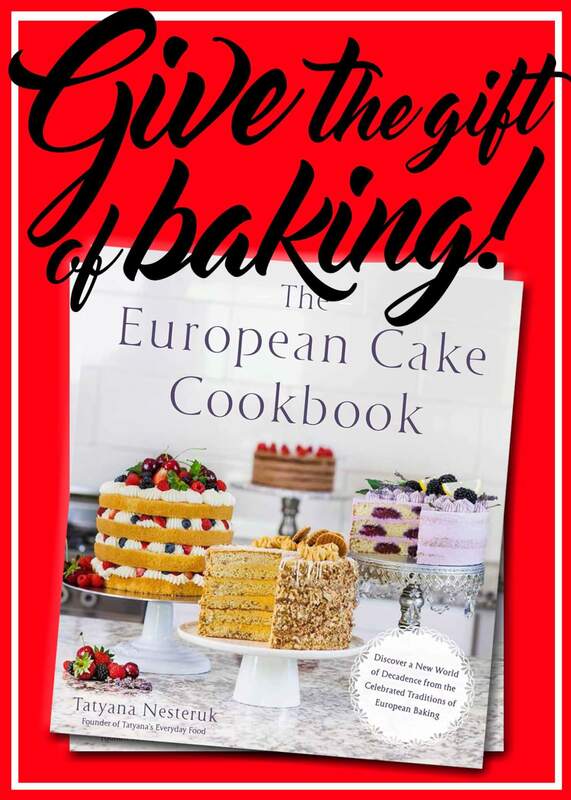 And what better way to enjoy this special holiday than with desserts and sweets?! 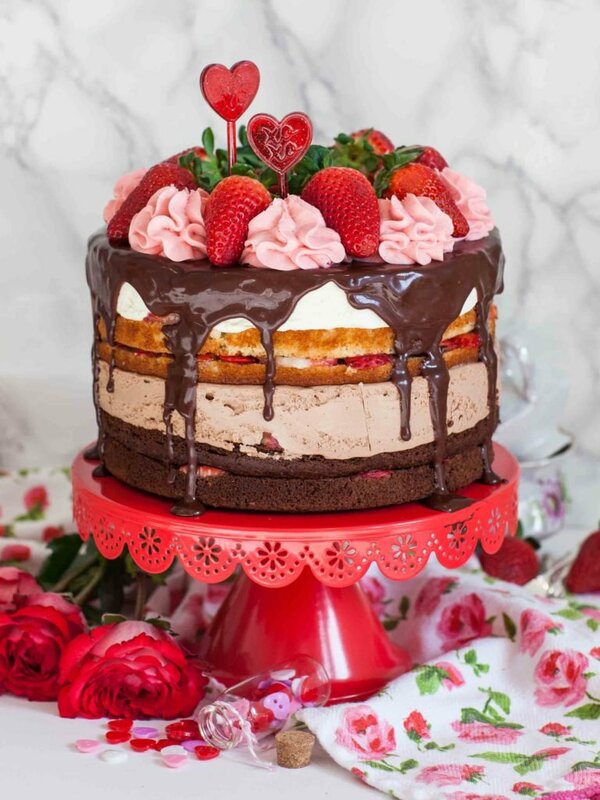 For me, this holiday is all about strawberries and chocolate, so I’ve gathered up some amazing strawberry desserts for you to enjoy! 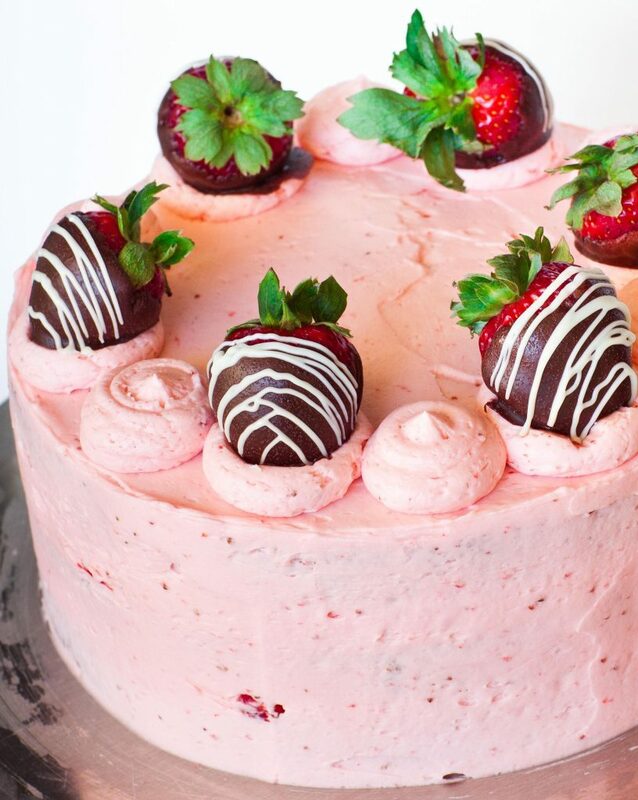 Strawberry cake, strawberry mousse and chocolate strawberries! All the best strawberry dessert recipes in one place! To start off this strawberry dessert roundup, here’s one of my favorites: Strawberry Red Velvet Cheesecake. 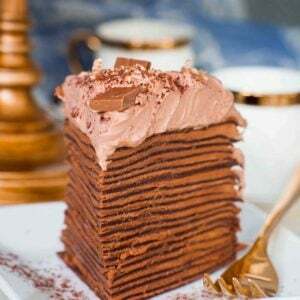 I love everything about this triple layered dessert! 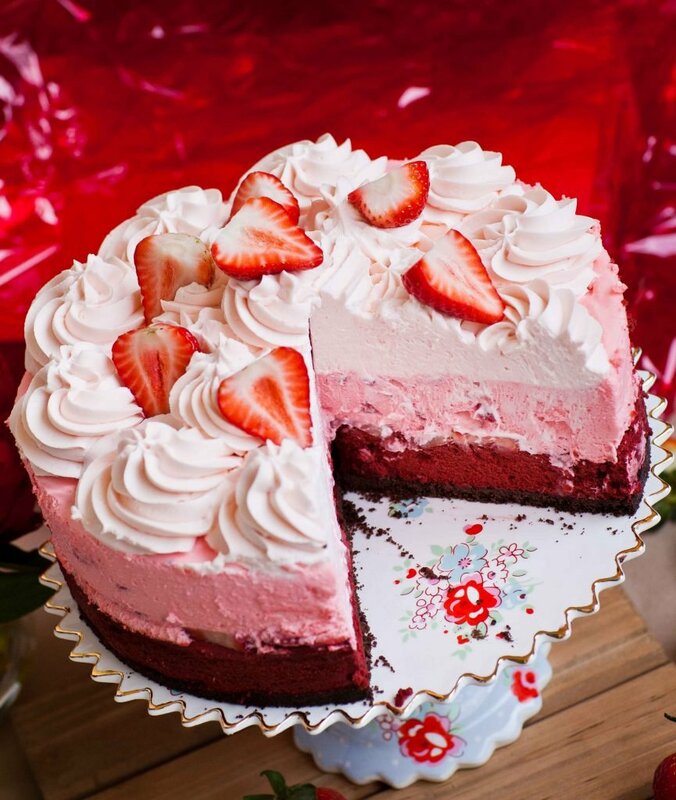 And while we are on the topic of red velvet, this ‘Red Velvet Cheesecake’ topped with strawberries is amazing! 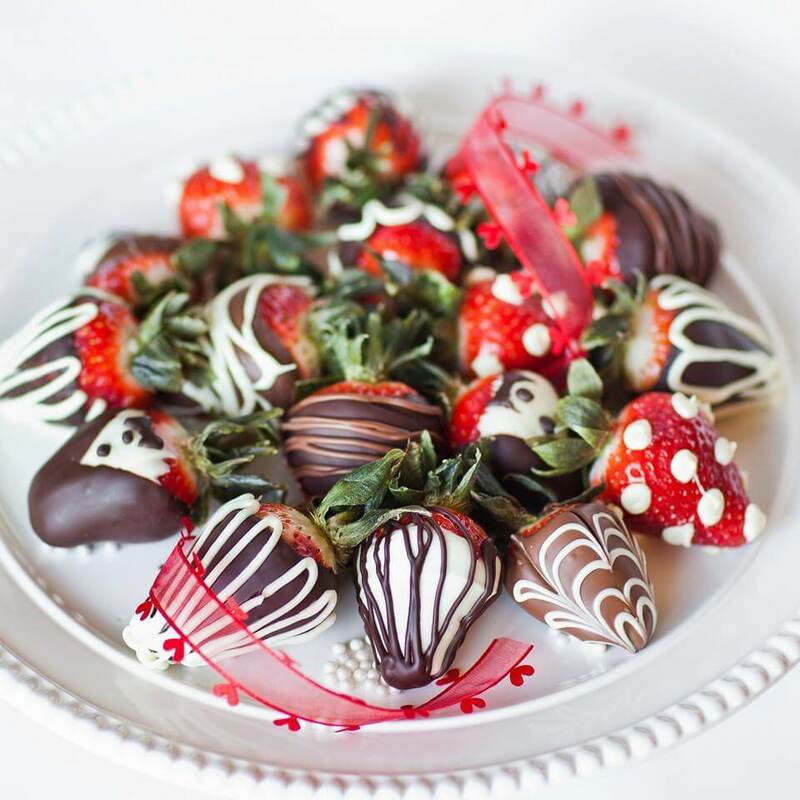 There’s nothing better than chocolate covered strawberries! 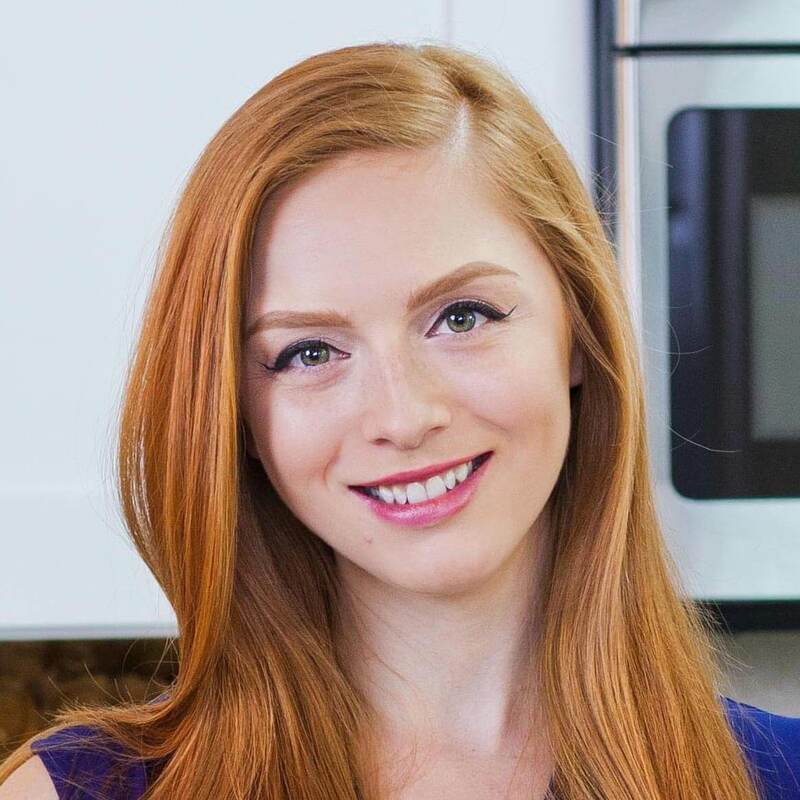 Check out my tutorial for these fancy chocolate strawberries and make them for someone special! 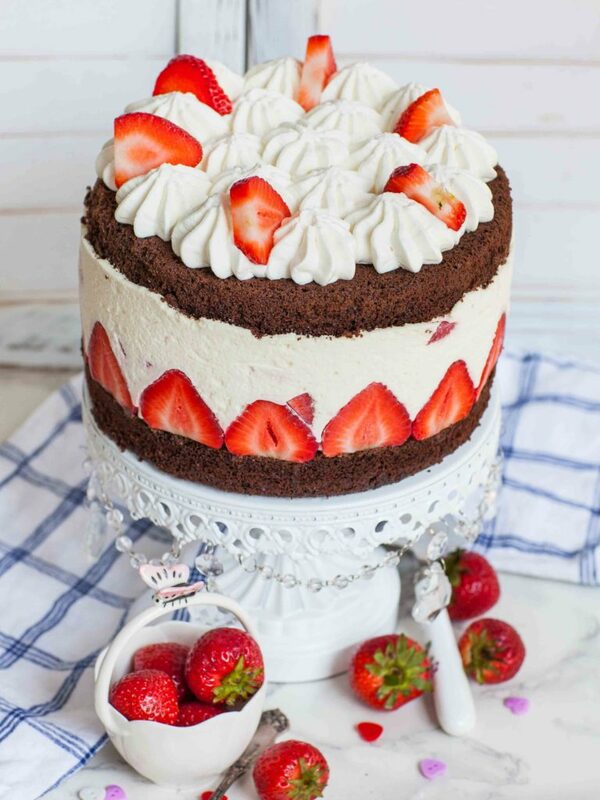 Another one of my favorites – this Strawberry Tuxedo Cake is made with no-bake cheesecake layers sandwiched between chocolate and vanilla cake! 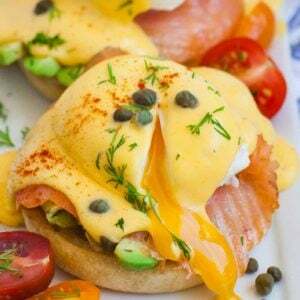 So good for any occasion! 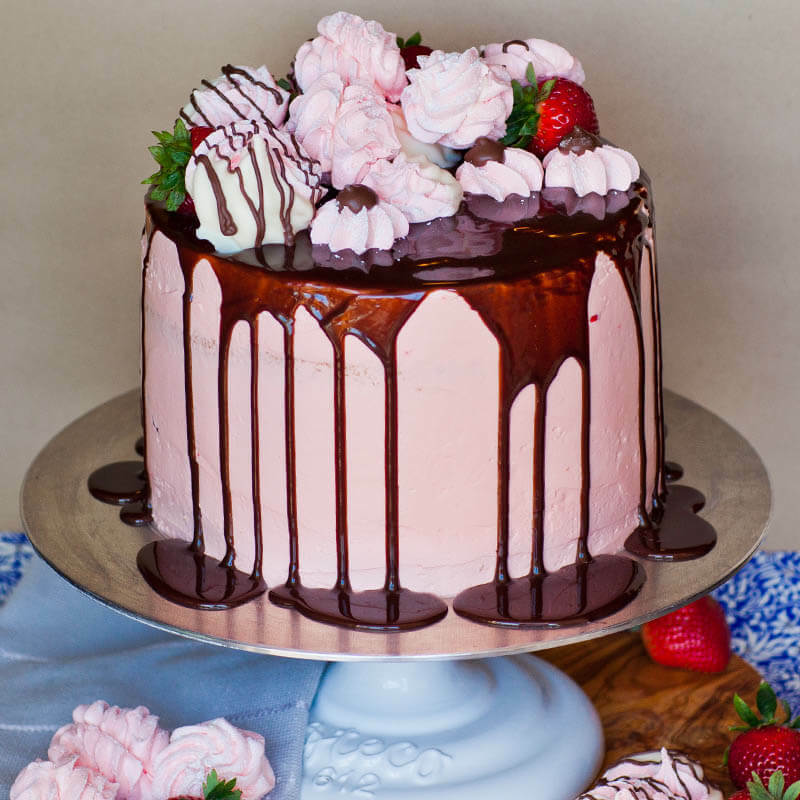 A strawberry fraiser cake with a twist! 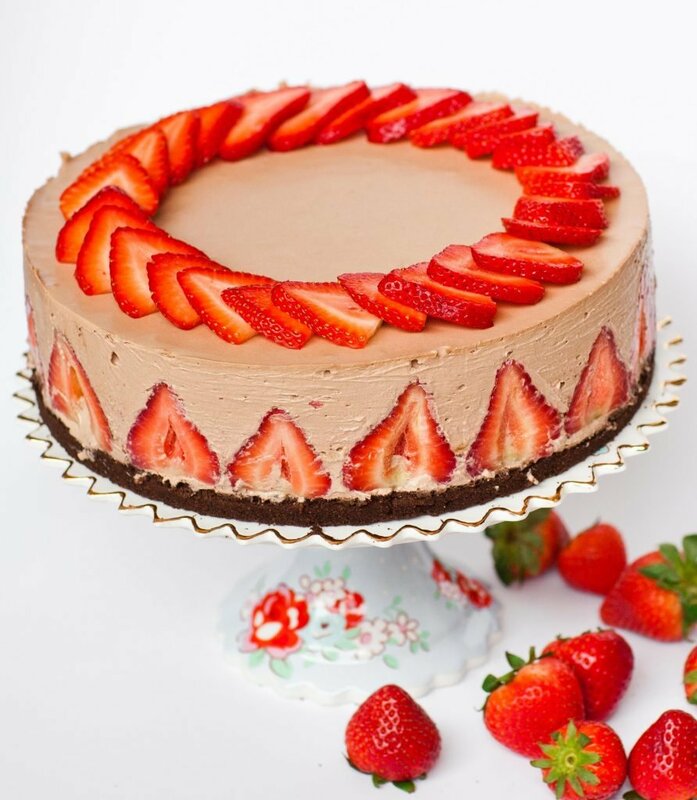 This beautiful ‘Chocolate Strawberry Cheesecake’ is made with chocolate cake layers, fresh strawberries and a no-bake cheesecake layer! 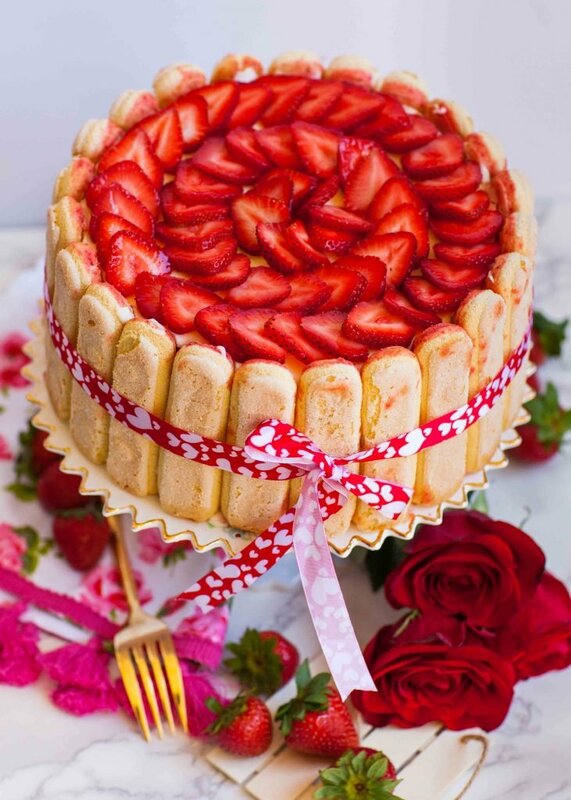 This stunning Strawberry Tiramisu Cake is no-bake and oh so good! It’s made with custard, cream and loads of strawberry! And let’s talk about that topping! The sliced strawberries look so pretty. The ultimate strawberry dessert! 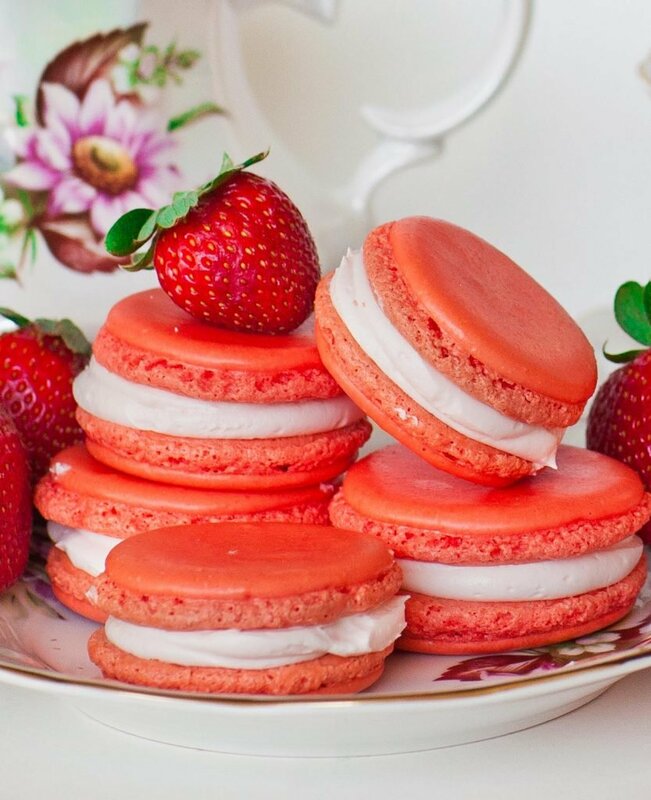 How about these Triple Strawberry Macarons?! These are so good and loaded with strawberry flavor – strawberry macaron shells, strawberry buttercream and strawberry filling in the center! 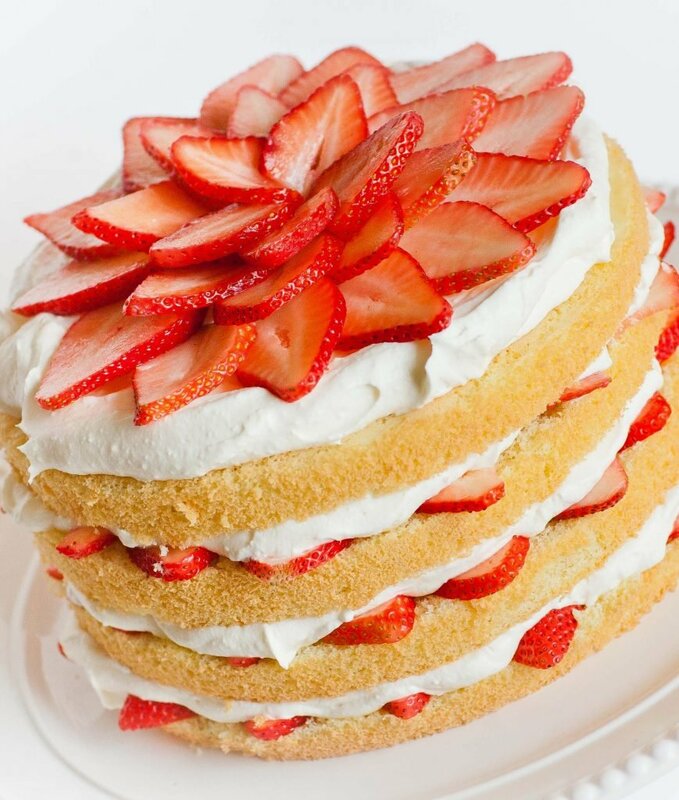 How do you make a strawberry cake even better? Nutella! 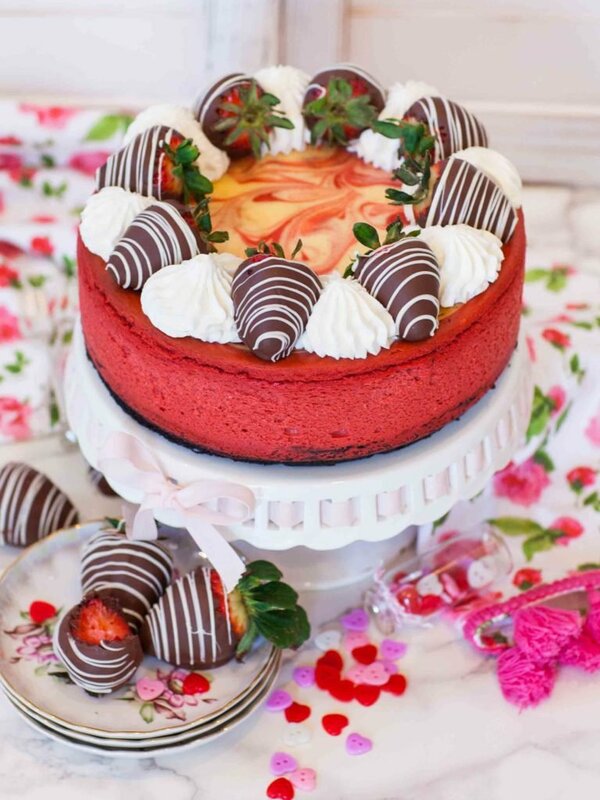 This Strawberry Nutella Cheesecake is amazing! 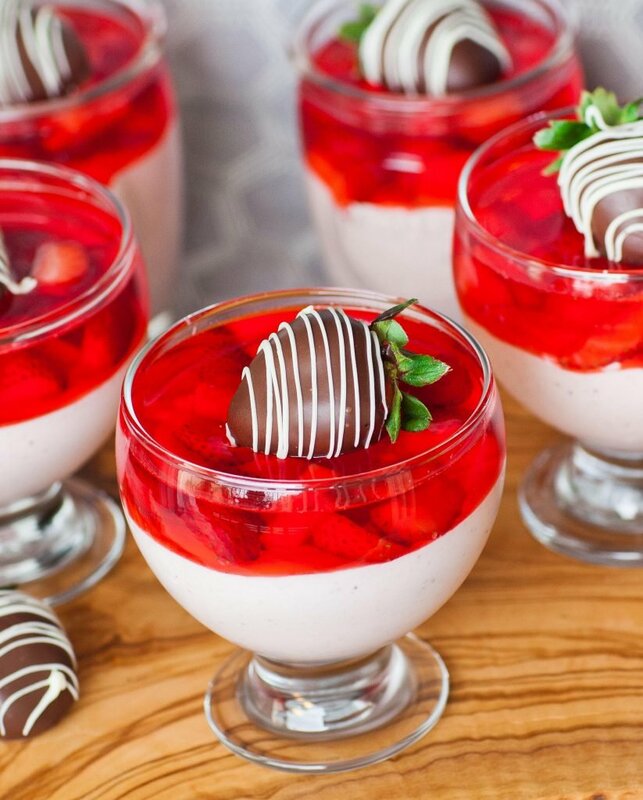 I love these Strawberry Mousse Parfaits and the addition of the chocolate-covered strawberries on top! 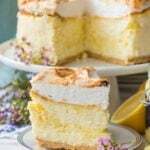 This dessert is elegant and delicious! 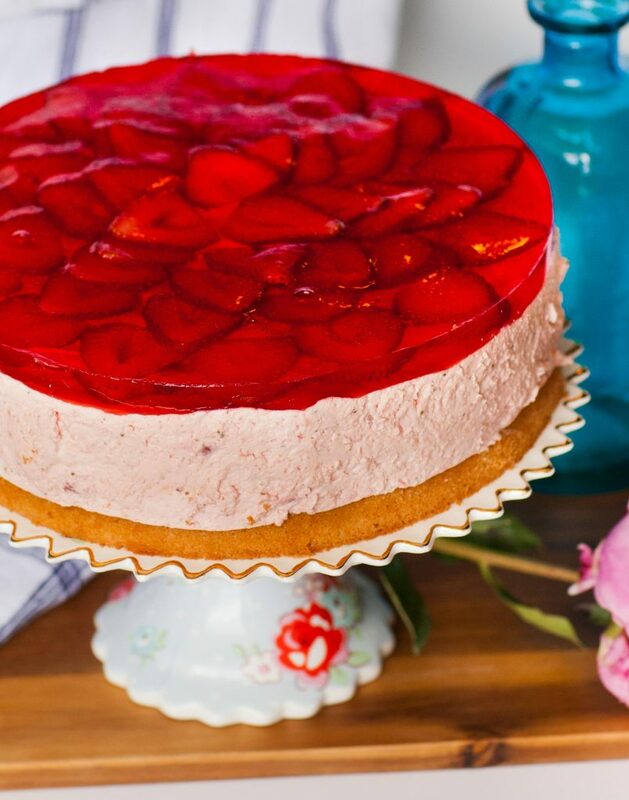 And try the strawberry mousse in cake form – this stunning ‘Strawberry Mousse Cake’ is perfect for any occasion! One of the most popular cakes on my channel and blog – this Strawberry Zefir Torte. It’s made with strawberry zefir – aka Russian strawberry marshmallow! 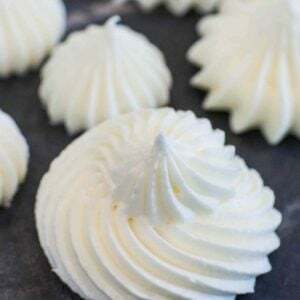 Zefir is unlike anything else and it literally melts in your mouth. 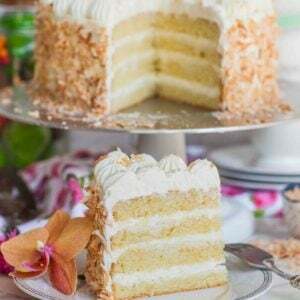 This is one cake to absolutely try! Love champagne and strawberries? 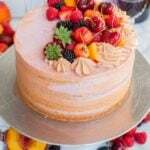 Have them in cake form with this Strawberry Champagne Cake! 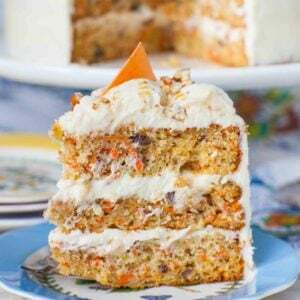 The recipe calls for champagne in the cake batter and you can also add some champagne extract for more flavor! 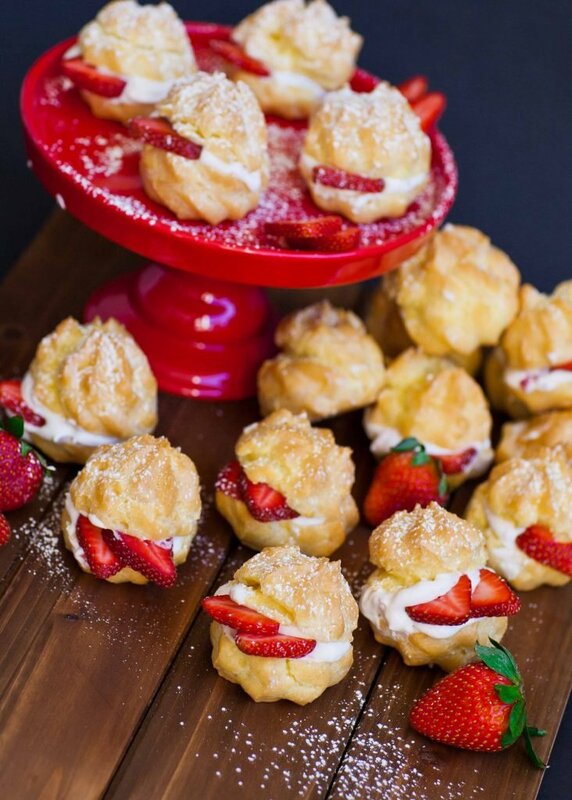 For the love of cream puffs – these strawberry cream puffs are amazing! They’re filled with a fluffy whipped cream filling and fresh strawberries! 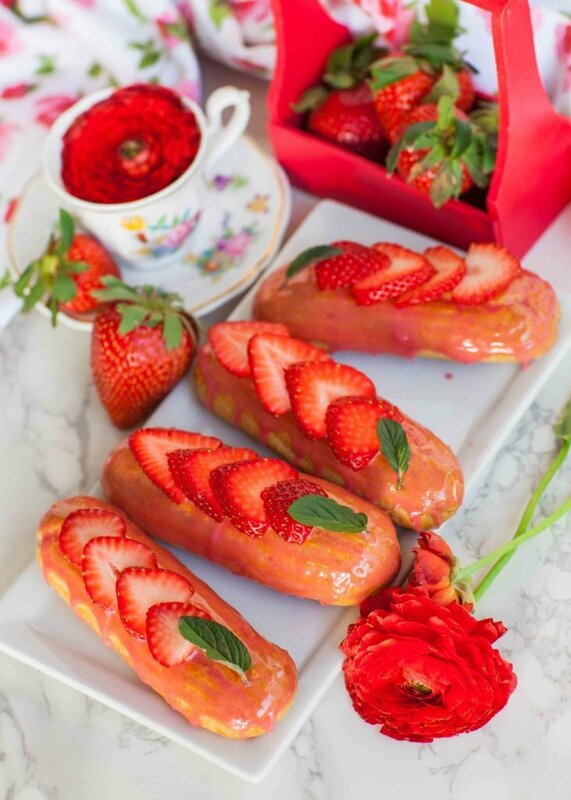 If you love strawberry and basil, you’ll love these Strawberry Basil Eclairs! The unique flavor combination is sweet and refreshing! 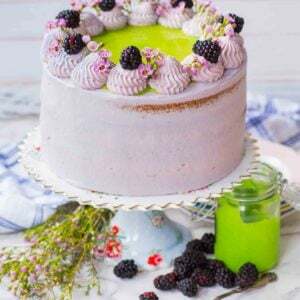 Continuing with the strawberry and basil flavor combo, this Strawberry Basil Cake is simply amazing! 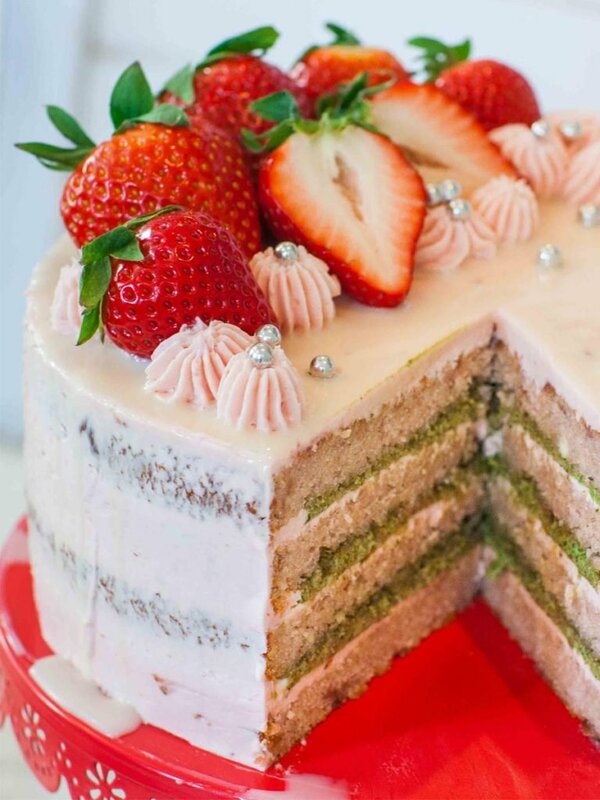 It’s made with strawberry cake layers, basil filling and strawberry buttercream! This extraordinary French cake creation is amazing! 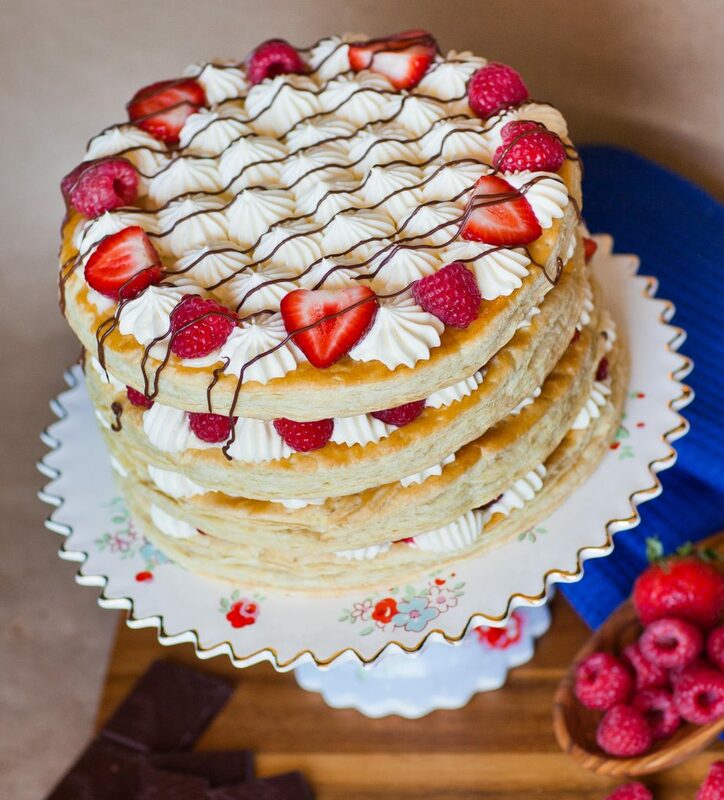 This Strawberry Mille-Feuille Cake is made with fluffy puff pastry layers filled with vanilla pastry cream, fluffy whipped cream frosting and of course, fresh strawberries! And finally, a simple and elegant cake to finish off this collection! 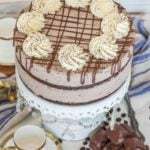 My ‘Strawberries and Cream Cake’ is so delicious and easy to make!